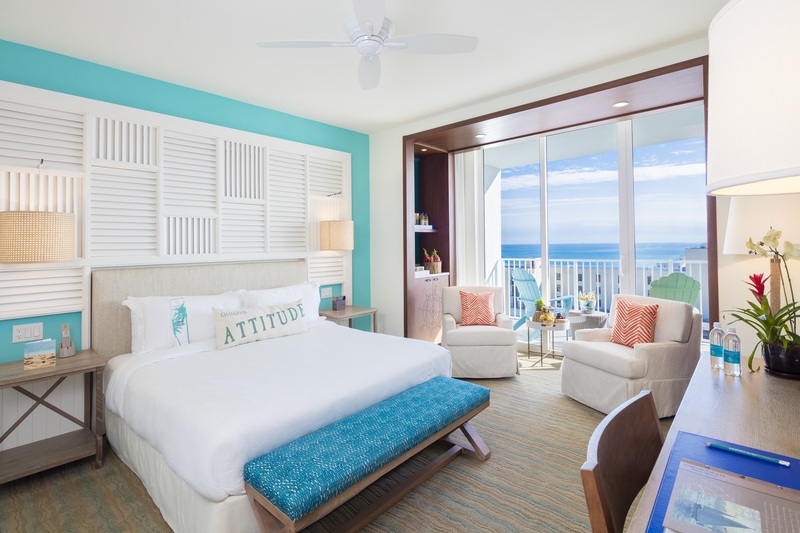 Margaritaville Hollywood Beach Resort’s ADA Accessible guestrooms and suites feature a blend of coastal casual design and luxurious comfort. 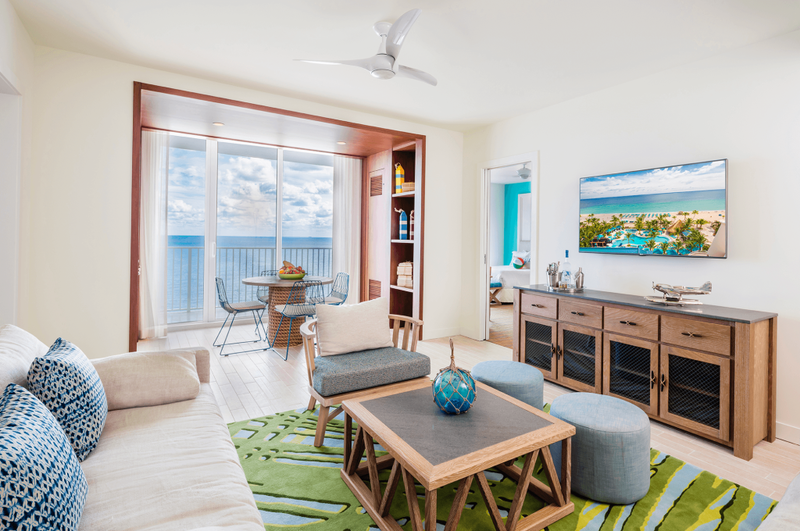 Sleek contemporary furnishings are balanced with warm coastal elements and colorful accents for an eclectic take on a contemporary beach house. 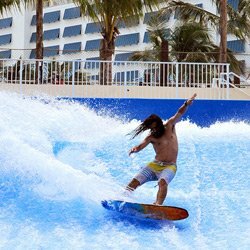 Depending on your needs, we offer hearing impaired, special accessible appointments as well as refreshing bathrooms with tubs or roll-in showers. 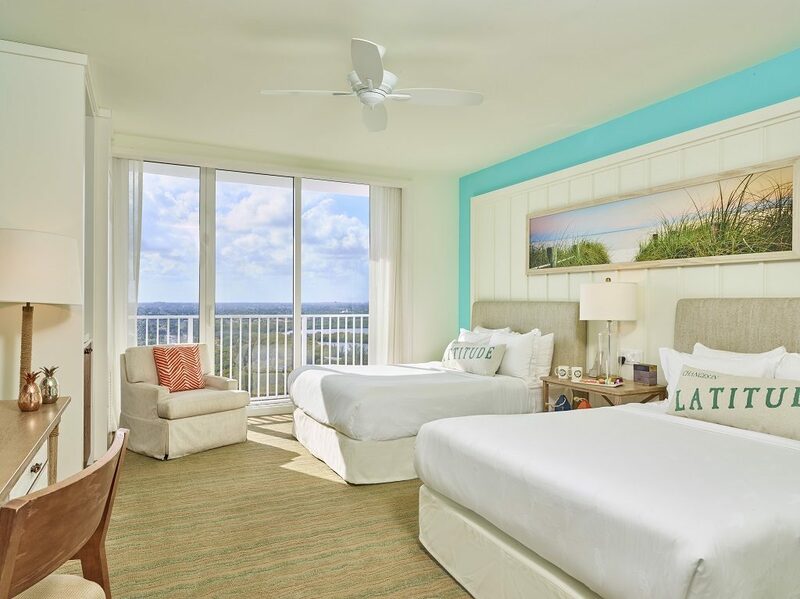 The well-appointed guestrooms and suites offer private balconies that overlook the Atlantic Ocean or the Intracoastal Waterway for relaxing with morning coffee or a signature beverage. 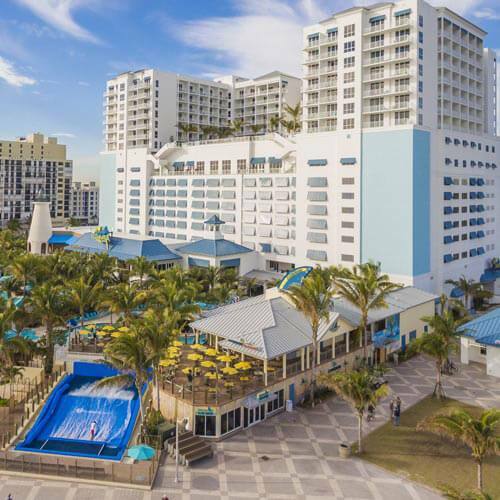 Here at Margaritaville Hollywood Beach Resort, we strive to ensure all guests are comfortable and are accommodated appropriately. 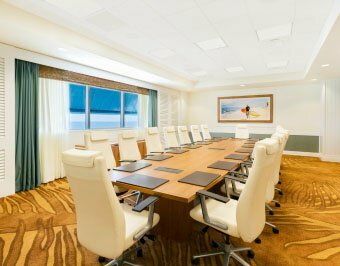 Below you’ll find important guest room information and details as it pertains to our ADA accessibility features. 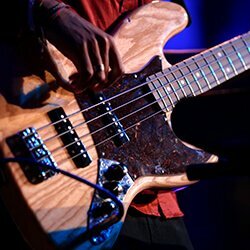 If you have any questions about these features, please do not hesitate to contact us at 844-5oclock (844-562-5625). 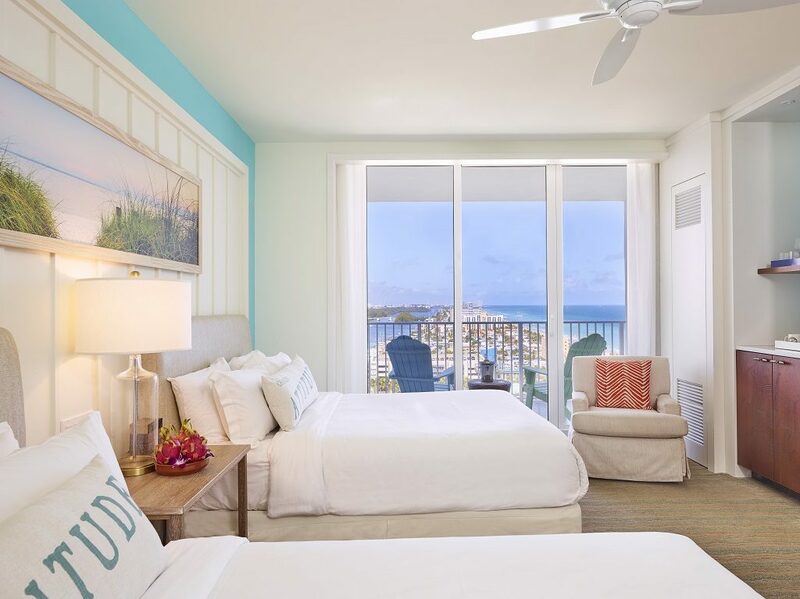 This two bedrooms suite is a favorite with families and with friends traveling together for its comfort, privacy and inspiring direct oceanfront views. With over 1,300 square feet, this spacious retreat offers a welcoming living space with a lounge area, dining table and kitchenette. Contemporary furnishings with a soothing color palette of sand, sea and sky, reflecting a coastal-luxe atmosphere. 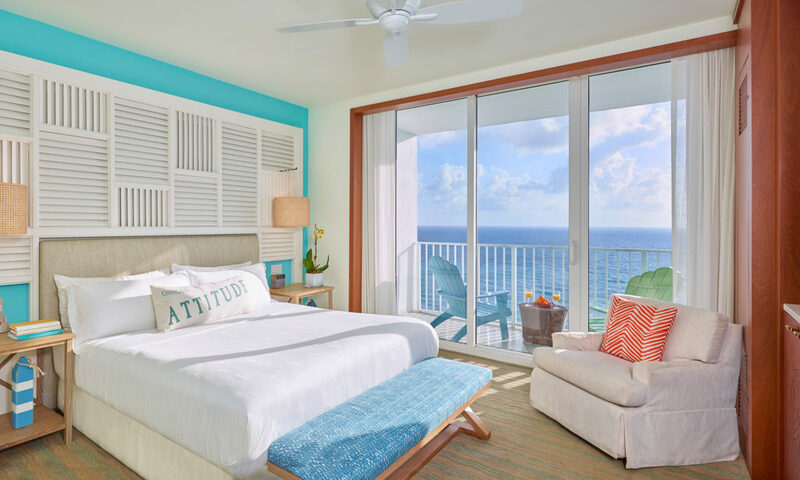 One bedroom offers two queen beds and the other with one king bed, all with luxurious, all-white linens and premium bedding creating the perfect setting for further relaxation after another day in paradise. 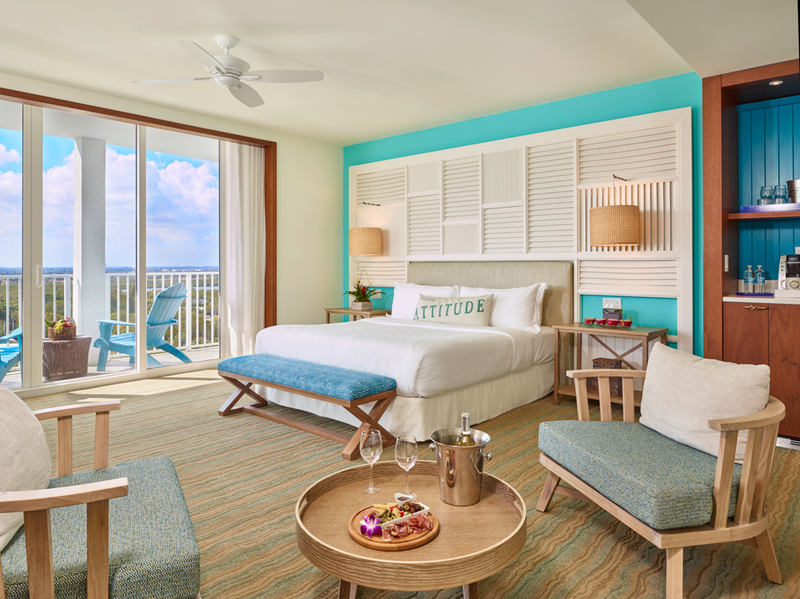 Each room offers a refreshing bathroom with a large vanity and over-sized shower, which is highlighted with sea glass-inspired tile work. 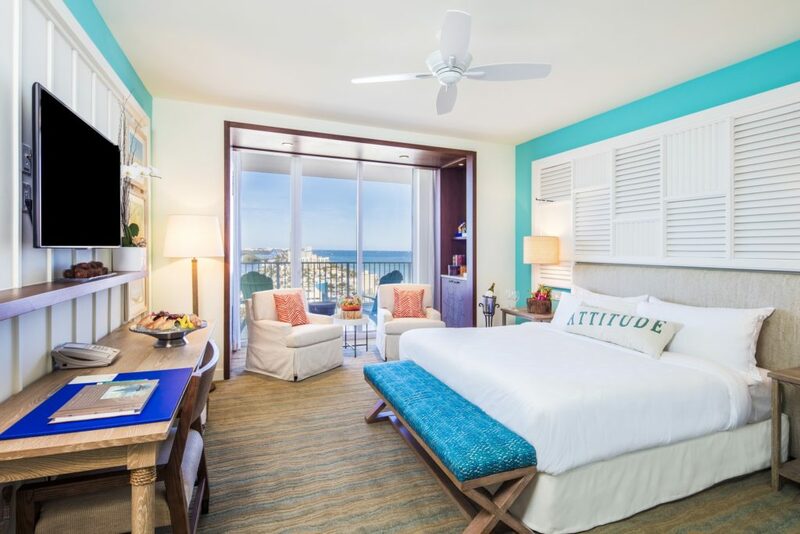 This two bedrooms suite is a favorite with families and with friends traveling together for its comfort, privacy and inspiring direct oceanfront views. With over 1,300 square feet, this spacious retreat offers a welcoming living space with lounge area, dining table and kitchenette. 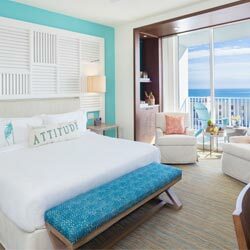 Contemporary furnishings with a soothing color palette of sand, sea and sky, reflecting a coastal-luxe atmosphere. 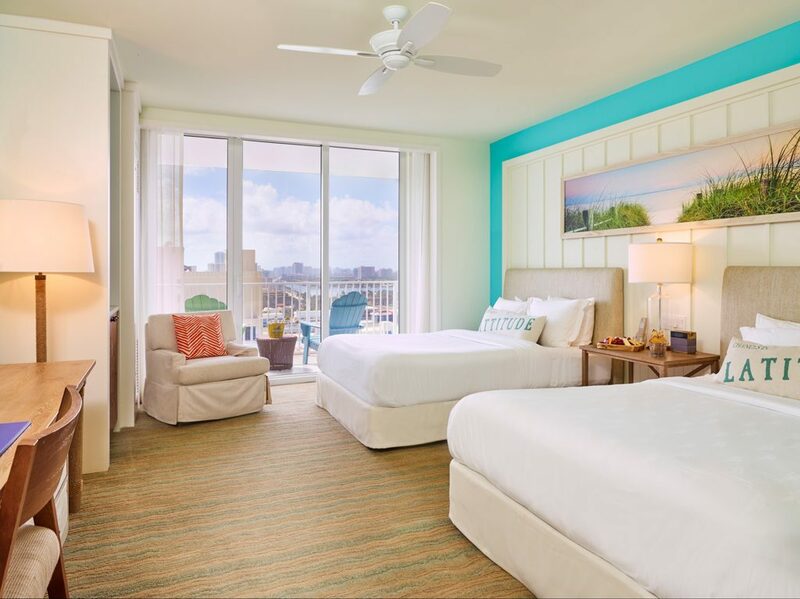 One bedroom offers two queen beds and the other with one king bed, all with luxurious, all-white linens and premium bedding creating the perfect setting for further relaxation after another day in paradise. 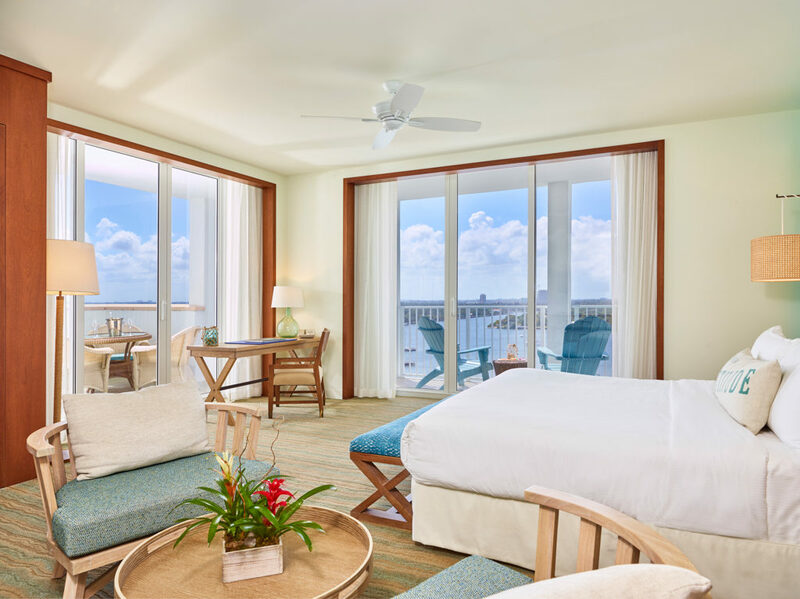 Each room offers a refreshing bathroom with a large vanity and over-sized shower, which is highlighted with sea glass-inspired tile work. 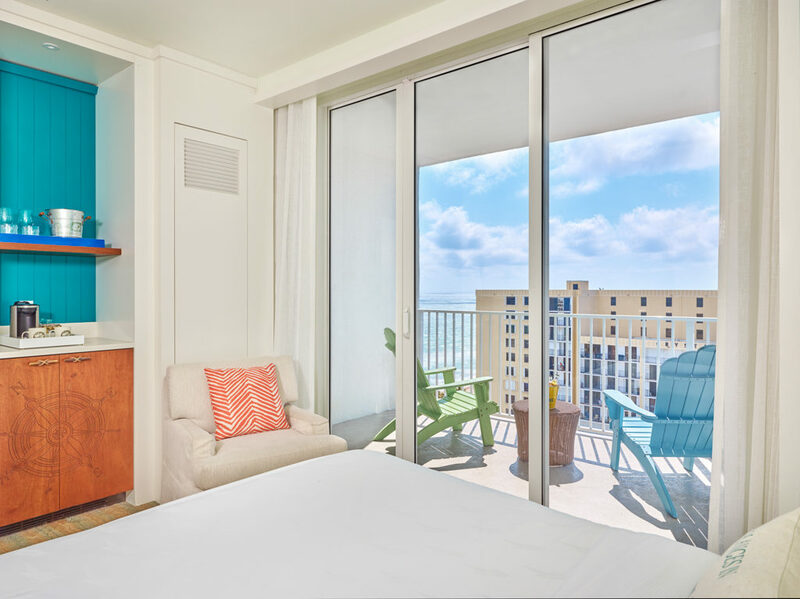 Revel in sweeping views of the Intracoastal Waterway, Nature Preserves and North Lake or South Lake views from the private balcony of this 450-600 Sq. Ft. calming retreat. Contemporary furnishings with a soothing sand, sea and sky color palette reflect a coastal-luxe atmosphere. Two queen beds with luxurious, all-white linens and premium bedding create the perfect setting for further relaxation after another day in paradise. A large vanity and over-sized shower add functionality to a crisp bathrooms, which is highlighted with sea glass-inspired tile work. 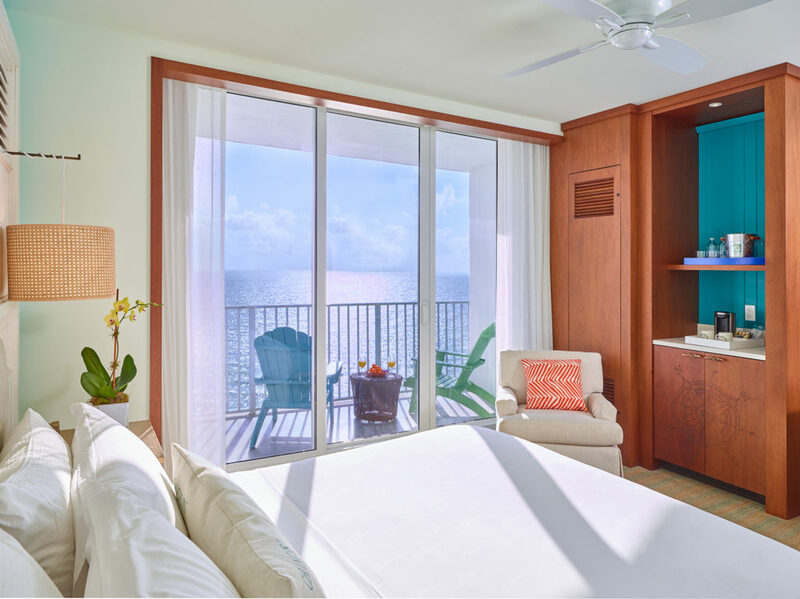 Enjoy views of the Atlantic Ocean from the balcony of this 450-600 Sq. Ft. calming retreat. Contemporary furnishings with a soothing sand, sea and sky color palette reflect a coastal-luxe atmosphere. 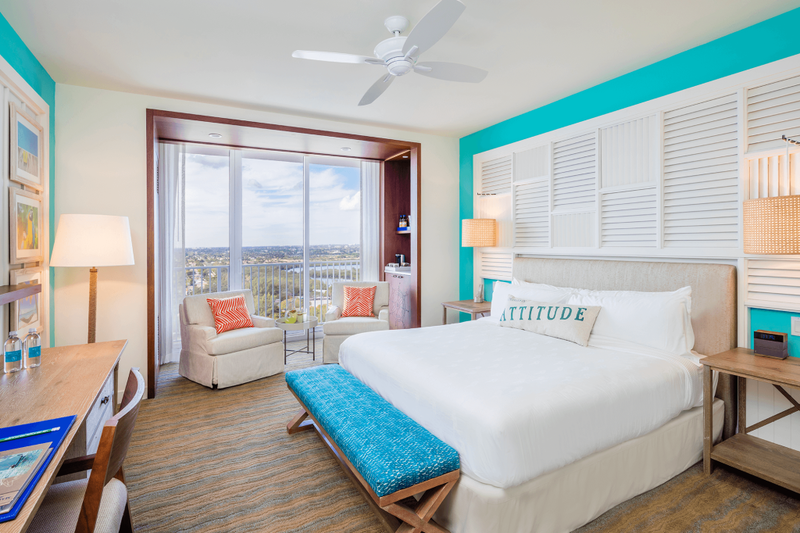 One king bed with luxurious, all-white linens and premium bedding create the perfect setting for further relaxation after another day in paradise. A large vanity and over-sized shower add functionality to a refreshing bathroom, which is highlighted with sea glass-inspired tile work. Enjoy views of the Atlantic Ocean from the balcony of this 450-600 Sq. Ft. calming retreat. Contemporary furnishings with a soothing sand, sea and sky color palette reflect a coastal-luxe atmosphere. One king bed with luxurious, all-white linens and premium bedding create the perfect setting for further relaxation after another day in paradise. A large vanity and a tub and shower add functionality to a refreshing bathroom, which is highlighted with sea glass-inspired tile work. Enjoy views of the Atlantic Ocean from the balcony of this 450-600 Sq. Ft. calming retreat. Contemporary furnishings with a soothing sand, sea and sky color palette reflect a coastal-luxe atmosphere. One king bed with luxurious, all-white linens and premium bedding create the perfect setting for further relaxation after another day in paradise. A large vanity and oversized roll in shower add functionality to a refreshing bathroom, which is highlighted with sea glass-inspired tile work. Enjoy views of the Atlantic Ocean from the balcony of this 450-600 Sq. Ft. calming retreat. Contemporary furnishings with a soothing sand, sea and sky color palette reflect a coastal-luxe atmosphere. Two queen beds with luxurious, all-white linens and premium bedding create the perfect setting for further relaxation after another day in paradise. A large vanity and over-sized roll in shower add functionality to a refreshing bathroom, which is highlighted with sea glass-inspired tile work. 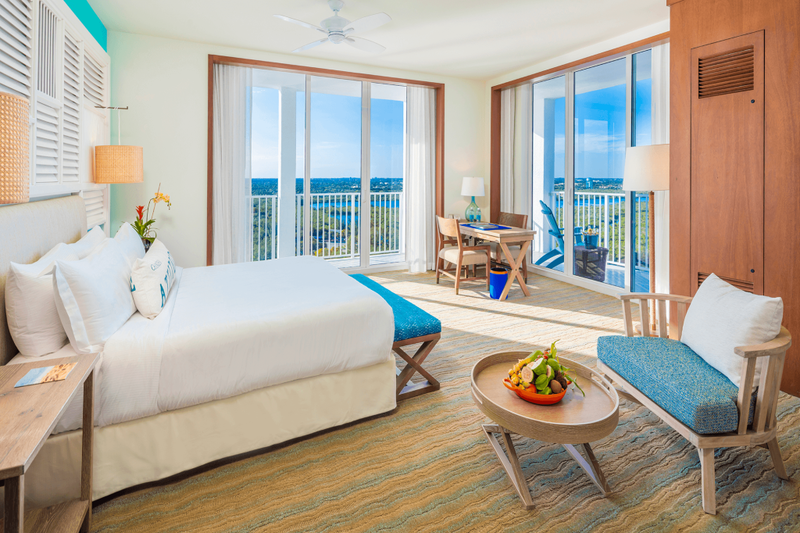 Bask in picturesque views of the Intracoastal Waterway and Atlantic Ocean from the private balcony of this 450-600 Sq. Ft. calming retreat. Contemporary furnishings with a soothing sand, sea and sky color palette reflect a coastal-luxe atmosphere. One king bed with luxurious, all-white linens and premium bedding create the perfect setting for further relaxation after another day in paradise. A large vanity and over-sized shower add functionality to a refreshing bathroom, which is highlighted with sea glass-inspired tile work. 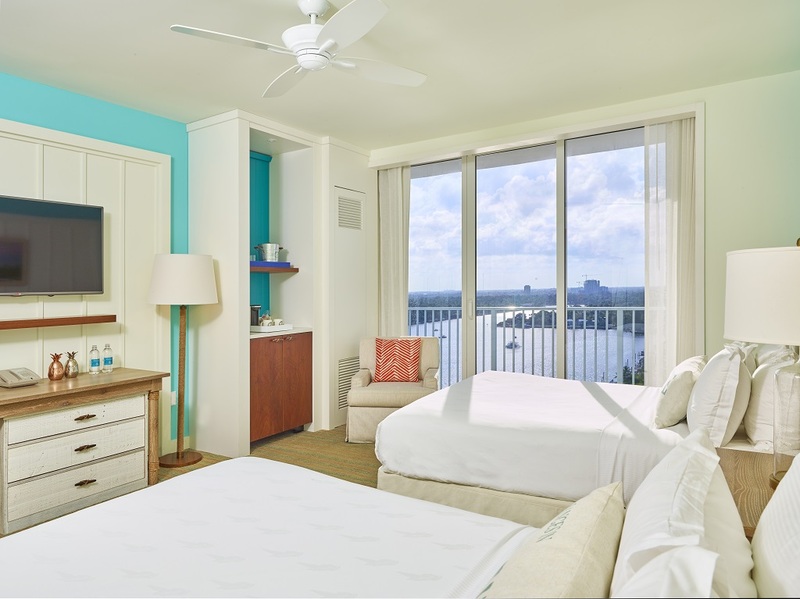 Bask in picturesque views of the Intracoastal Waterway and Atlantic Ocean from the private balcony of this 450-600 Sq. Ft. calming retreat. Contemporary furnishings with a soothing sand, sea and sky color palette reflect a coastal-luxe atmosphere. Two queen beds with luxurious, all-white linens and premium bedding create the perfect setting for further relaxation after another day in paradise. A large vanity and over-sized shower add functionality to a refreshing bathroom, which is highlighted with sea glass-inspired tile work. 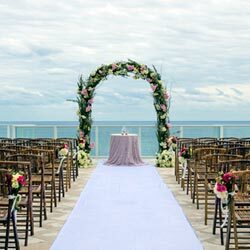 Boasting inspiring direct oceanfront views from a private balcony, this 450-600 Sq. Ft. guestroom features a soothing color palette of sand, sea and sky, reflecting a coastal-luxe atmosphere. One king bed with luxurious, all-white linens and premium bedding create the perfect setting for further relaxation after another day in paradise. A large vanity and tub and shower add functionality to a refreshing bathroom, which is highlighted with sea glass-inspired tile work. 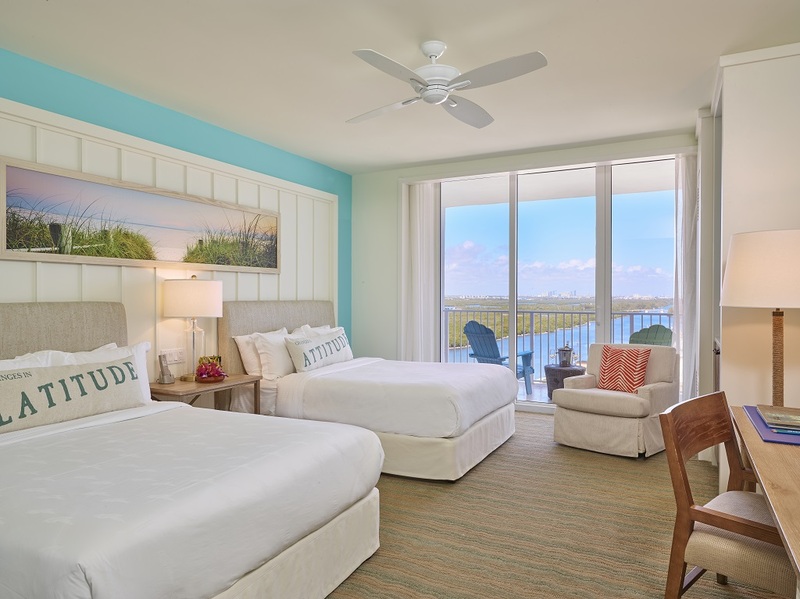 Revel in sweeping views of the Intracoastal Waterway, Nature Preserves and North Lake or South Lake views from the private balcony of this spacious retreat. Offering up to 840 sq. 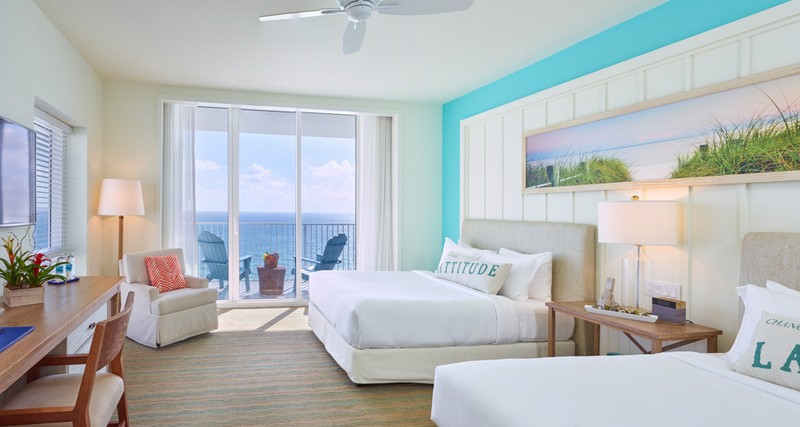 ft. of comfort, this Junior Suite provides a living and sleeping area to enhance your stay. Contemporary furnishings with a soothing sand, sea and sky color palette reflect a coastal-luxe atmosphere. King bed with luxurious, all-white linens and premium bedding create the perfect setting for further relaxation after another day in paradise. A large vanity and over-sized shower add functionality to a refreshing bathroom, which is highlighted with sea glass-inspired tile work.